I stopped by the newish Davanti Enoteca for dinner last night with my step mother. While the experience wasn't perfect, we enjoyed ourselves and would return. Upon arriving in the main dining room, I noticed that the tables were rather crammed in. We bumped elbows with our neighbors beside us and bumped chairs with those behind us. I could see this bothering some folks, and they should request one of the tables with more space around the outside of the room. The music, during our several hour dinner, went from unobtrusive to blaring and hard to talk above. I like New Order and Love and Rockets, sure, but would prefer to not have it blasted at me during an otherwise relaxed meal. The service was great. Everyone was helpful, polite, and friendly, and we probably had 4-5 different people stop at our table. We had two minor issues (neither of which had we raised to the staff), and they were immediately identified and addressed with apologies and grace. These folks have some great energy going on and they appear determined that no one should leave their restaurant displeased. In other words, the service was nearly unnecessarily good - - but hey, I'm not complaining. Davanti's approach to wine is that the restaurant is also a wine shop, and wine bottles cover several walls. You can buy any wine to take home, or enjoy the wine at the restaurant by paying a reasonable $7 corkage fee. In advance of my dinner, I'd read a few reviews of Davanti, several of which extolled Davanti's unusually fair wine program. I was a bit suspicious - - why would a restaurant look to get only $7/bottle when other restaurants are making a large percentage of their profits marking up wine 3-5 times retail? So, I took a look at their wine pricing and quickly realized that most of their bottles are marked up before the $7 corkage. Of the dozen or so bottles I looked at in the $15-25 range, only one wasn't marked up about $8-10 above retail. The bottom line is that the wine prices are generally reasonable compared to most restaurant markups, but don't be fooled into thinking you're just paying a $7 corkage. All that said, most of the wine they carry is under $30 before corkage, so we aren't talking big bucks. As for the food, we had some hits and some misses, but enough good dishes that we'd return for a second visit. Something that seemed strange to me is that bread is not served with the antipasti. We asked for bread after seeing that we'd want to soak up the sauces. The server said she'd put in an order. About ten minutes later, we received four hot slices of bread that went very well with our food. We weren't charged for the bread, but it seems you have to request it. Next time, I'll be sure to request it earlier. The highlight was a new-to-the-menu cauliflower dish, a large cross-section of cauliflower served with bits of soppressata, preserved lemon, and green olive tapenade. It's the next morning, and I'm already craving more of this simple dish. We also enjoyed the truffle egg toast with fontina and asparagus. Basically, a brioche topped with two runny egg yolks. They serve it with a steak knife and you cut into the bread and the eggs, allowing the yolk to run pretty much everywhere. The asparagus was cooked well, with a pleasant crunch remaining. I liked this and would recommend it on a first visit. The spaghetti with black pepper and pecorino was recommended by our server. I liked this dish, with properly cooked pasta and assertive black pepper. A simple dish and another winner. White anchovies with olives, celery, and pecorino was less successful. All of the components were fine on their own, but there was nothing tying them together. The thickly sliced cheese was especially out of place. I wouldn't order this again, despite my affection for white anchovies. I'm indifferent about the pork belly and apple mostarda dish. It wasn't delivered piping hot and more fat could've been rendered out. 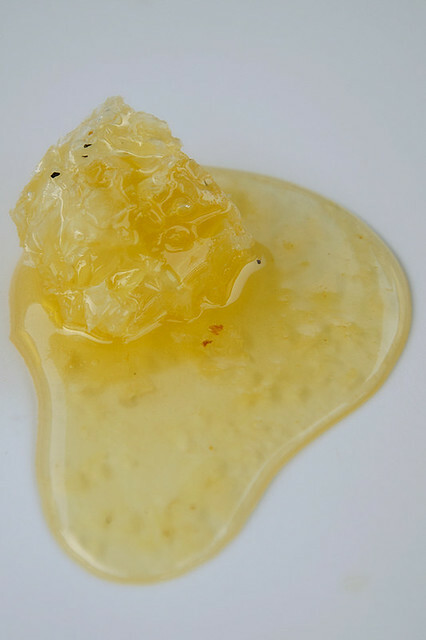 The apple mostarda should have been more punchy, with more acid and mustard to counter the belly's fattiness. I ate one slice, and then (highly unusually) decided that finishing the dish wasn't worth the fat/calories. Our final savory dish was shaved fresh hearts of palm. Huge ribbons of raw hearts of palm with a minimal lemon, chili, and peppercorns. I didn't get this. It was bitter and low in acid. I wouldn't recommend this dish. We had two desserts and while neither were mind-blowing, both were successful. My step mother loved her cannoli sundae, with bits of pistachio and candied oranges. My torta baccio was good, too. It was a thick chocolate-hazelnut mousse atop a crunchy cookie bottom. I'd recommend both. So, while not all the food was wonderful, several dishes were. I will definitely return to explore more of the menu. I especially look forward to returning for the foccacia and pizzas. I went to Davanti a few weeks ago with two friends of mine. The first (and lasting) impression of the atmosphere was strange: a kitschy Italian place out in the suburbs somewhere, maybe a place you'd take your grandmother at 5pm. This wasn't necessarily a bad thing -- especially since the food was far from kitschy suburban italian -- but the decorative tractor seats, the italian film posters and the general vibe was oddly phony. Well, in any case, this place is definitely unpretentious. We got wine by the glass, which was alright, and ran us 14 or so for two good pours. We ordered a vase of ceci beans, which were decent, but not as flavorful as the white bean purée at Quartino. I was told to get the ricotta and honeycomb vase, but it seemed like too sweet of a start for my salt-loving palate. With the beans we ordered the asparagus and the corn salad. The salad (Roasted Corn, Walnuts, Aged Goat Cheese, Arugula & Wild Mushrooms) was really outstanding, full of flavor, and well balanced. The asparagus had a nice grilled flavor, but the mascarpone and pickled rhubarb just didn't come through -- uninteresting overall. The highlights for me were the mushroom/taleggio pizza -- the taleggio was some of the strongest, most pungent I've ever had -- and the the Uovo in ravioli. The ravioli made the whole night for me, it was creamy, salty, and beautifully served in a bowl only big enough for the single ravioli. I wanted to smear this on bread, but, as you said in your review, bread wasn't readily available. For dessert we had a great farro pudding, served in a hot cast iron pot with dates and yogurt. This was a great ending. I had been told to stay away from the cannolli dessert (with ice cream and such), and as I saw one of them being carried through the dining area I saw why -- it looked like something you'd get in a cheap Italian gelato place. Overall, in spite of the strange decor and vibe (not to mention the goofy "andiamo!" you get as you walk out the door), I enjoyed the food, and most likely will return. We went with friends from work yesterday, and really enjoyed the food and wine. We thought the prices utterly reasonable for wine in a restaurant. The food was good, we had almost every small dish they offered. I didn't really like the braised squid, but I did like everything else. They definitely need to give you more toast with all the dishes that include toast, but happily bring it when asked. We found the music loud, and weren't exactly sure what demographic they were going for (35 year old parents?) but whatever I liked it and suspect we'll be back. leek wrote: We went with friends from work yesterday, and really enjoyed the food and wine. We thought the prices utterly reasonable for wine in a restaurant. The food was good, we had almost every small dish they offered. I didn't really like the braised squid, but I did like everything else. They definitely need to give you more toast with all the dishes that include toast, but happily bring it when asked. We found the music loud, and weren't exactly sure what demographic they were going for (35 year old parents?) but whatever I liked it and suspect we'll be back. Lee, I must have just missed you as I was at Davanti on Friday as well. Even though the faux-Italianate facade of Davanti almost prevented me from entering the place, I enjoyed it and echo your sentiment about the reasonable price of the food and wine. To me, Davanti falls under the category of restaurants, like Old Town Social, that should be taken seriously and are satisfying, despite doing their best to annoy you. I agree that the suburban chain-restaurant, easy-listening music is too loud and oddly-curated. The interior is seriously cheesy. But the staff is friendly, knowledgeable and there is real focus in both the wine and food offerings. I appreciated that some off-norm selections were included on the Italian wine list. We split a bottle of Elena Walch Lagrein (from Alto Adige, natch) and I had a glass of Falanghina, which had some lovely green apple and honey notes -- perfect for Fall. The woman who served us wine was well-versed with the wine list, and very enthusiastically imparted her knowledge about the wines and winemakers, even giving us the backstory to how Elena Walch became a winemaker (i.e., was an architect, then inherited the winery from her in-laws). For food, the menu looked good, but we only wanted a couple of noshes, so we split the truffle toast, and a burrata/pesto/tomato salad. We originally intended to split the burrata and toasts, but the server steered us toward the "salad," which she said was more exciting for the same price (due to the inclusion of roasted tomatoes and pesto), and that they would include the toasts gratis. I really liked this dish - the burrata was creamy but not runny, the tomatoes, camparis that were still attached to the vine, were roasted whole, which sweetened them nicely (as well as removed any harsh edges to non-local, out-of-season tomatoes). As for the truffle toast, I thought that the brioche was a little too sweet, and that Davanti's version did not measure up to the version at my gold standard at Ino in the Village in NYC. Nevertheless, it will satisfy a craving for truffled egg toast if you can't get to New York. I would happily go back (to Davanti that is). We got there at 6:30, and I have to say I really wasn't looking around at the crowd. If you were there at the same time I still would have missed you! This is about 4 long blocks from work so if anyone ever wants to go, ping me! Wow. 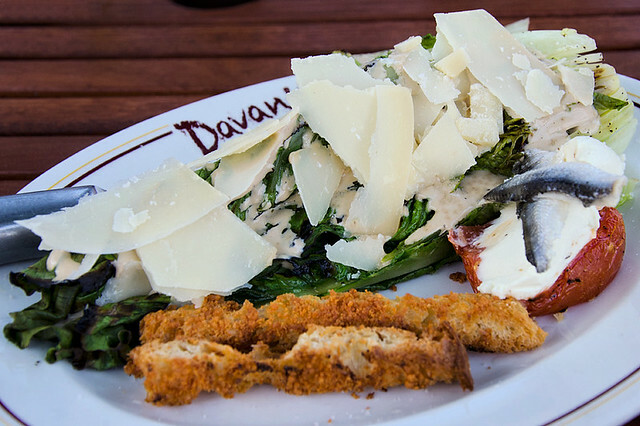 I'm not usually blown away by a restaurant, but I was thoroughly impressed by Davanti. Everything that we had was absolutely perfect. Most amazing Ricotta I've ever had. Extra virgin olive oil, a little black pepper and a touch of sea salt. As mentioned, we got through the bread pretty quickly, but they were perfectly fine with bringing out more. Last week I was at Mia Francesca's on Taylor Street. By the time we left, I was comatose. I think one of the best qualities about Davanti is that it's not heavy handed. Everything was very minimal, yet filling. Last edited by incite on September 22nd, 2011, 9:35 am, edited 2 times in total. That burger is fantastic. I just returned from my second visit to Davanti in 1 week. I had the burger both times. I am just blown away by how good it is. 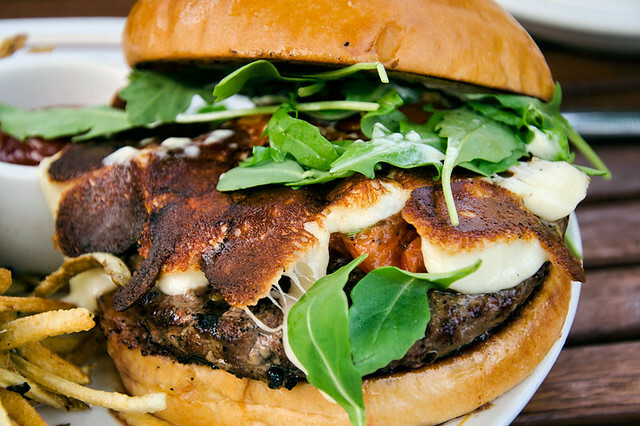 The beef, bacon jam, caramelized cheese curd and garlic mayo with parmesan crusted shoestring fries are just one big umami bomb. I've eaten burgers all over this great city and this is my current favorite. Previous favorites: Paramount Room, Kuma's, Big Jones. Mondays are $10 for a burger and beer, Thursdays are $3 beers. You can't go wrong. I work close to Davanti and had been wanting to visit for quite awhile, so I was excited to finally go this afternoon for a very late lunch/early dinner sort of thing. I have to agree with the posts upthread about the fake Italian atmosphere and weird choices of music. The strangest part to me was how the wines by the glass list is presented. When we first sat down, we were given the food menu and a separate wine menu, which only listed wines by the bottle. 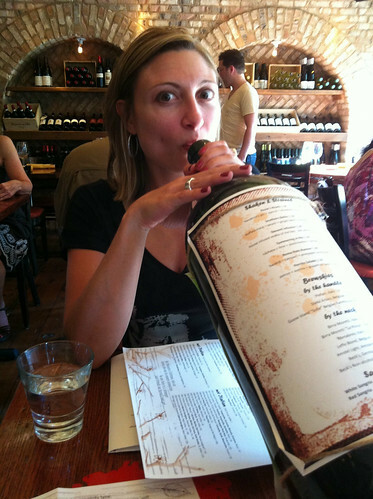 Confused, we had to wait several minutes before our server brought over this huge bottle of wine (magnum? double magnum?) with the wines by the glass attached to it. Because it was attached to the side of the bottle, we couldn't both see the whole list at the same time and had to keep turning it back and forth. This was unnecessarily difficult and Olive Garden-like. Besides these two issues, the rest of the visit was great. Service was quite good, and the food was delicious. We started with the ricotta and honeycomb with toasts. This was delicious, and the ricotta was smooth and very creamy. We also had the crispy pork belly and apple mostarda. I have to agree that there could have been more mustard in the mostarda. When eaten alone, the mostarda had a small kick to it, but this was almost completely drowned out by the pork belly. The pork belly itself was delicious and had a good fat to meat ratio. Then we also ordered the Pizza DOC (tomato sauce, fresh mozzarella, and basil) and the linguine with crab and sea urchin. The pizza crust was crispy on the outside and slightly wet and soggy in the middle, similar to how it is prepared in parts of Italy. (it did seem less soggy than the pizza at Spacca Napoli, which is a little too soggy for my taste) Though the pizza was good, the sauce had a faint canned Contadina pizza sauce taste to it. The linguine was delicious. There were slivers of green onion on top to help balance the richness of the sea urchin sauce. The flavor was fishy in a great way. Overall, I'm looking forward to going back and trying some of the other dishes. I would like to try the raviolo and the chicken liver pate next time. This is a place I really want to make fun of. Prior to opening, they traveled throughout the... USA... in search of great Italian food to inspire the Davanti menu? The result is basically a Mario Batali greatest hits album with a few other "famous" NY and LA Italian restaurant dishes thrown in. One dish seemed to be taken right from the menu of Three Aces down the street. That strange research method combined with what sounds like kitschy decor (I wouldn't know because I never made it past the two bar stools closest to the entrance) caused me to doubt that I'd enjoy the meal. But enjoy it I did, quite a lot. The sea urchin pasta really won me over - simple, restrained sauce with rich, fresh seafood flavor and perfectly cooked pasta. Batali would serve it with a drizzle of expensive, grassy olive oil to finish and that would indeed be nice, but he would charge more too. This was a great dish as served at Davanti for $13. Other dishes worked well too. Davanti's polenta had the creamy, gritless character achieved only by someone who knows how to and bothers to cook it without shortcuts, and the meatball ragu served with it was well-seasoned. Octopus was tender and flavorful, served with a well-rendered small dice of pancetta, and Marcona almond pieces that would have balanced the intense horseradish sauce perfectly if only there had been a little less of the powerful, biting stuff which took an otherwise excellent dish out of balance a bit. I mostly agree with a poster upthread who couldn’t make sense out of Davanti’s plate of celery, anchovy, cheese and olives. Except that it’s only 5 bucks, so even though the components seemed disjointed to me too, I was happy to snack on them with a glass of wine. I’ll probably still make fun of Davanti, but it’ll be as I continue to go back to eat there. Kennyz wrote: I’ll probably still make fun of Davanti, but it’ll be as I continue to go back to eat there. I have to agree. I had a very good meal here a while back but as others have said, the space itself is completely silly. What an odd, odd place this is. Fortunately, I was having dinner with a childhood friend, so we were able to laugh like we did when we were in the third grade at things like, oh, Davanti's cocktail list (yup, the bottle from which my friend is pretending to chug--her taking it down was the only way we could see and talk reasonably to each other). Silliness (theirs or ours) aside, the food was very good tonight. Most memorable to me was the lamb ragu over polenta. The polenta looks almost like marshmallow in this picture; it was that pillowy and exquisite. The only miss was the dessert corn pudding. Our server cautioned us that the cast iron dish in which it was served would be very hot. It was. It's just too bad the pudding in it was cold (and too dense and kind of dry anyway). No matter--we loved everything else we ate. 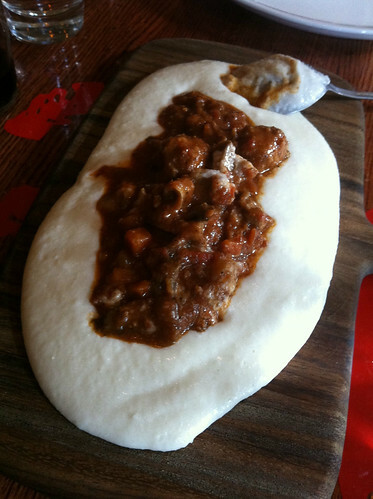 I went to Davanti for lunch w my wife Friday and have to say I was pretty underwhelmed. Plenty of comments have been made about the decor, so I'll stick to the food. We had burratta, escarole salad, proscuitto and arugala pizza, and the burger. The small plates were the best things we ate with the escarole salad w shaved gala apple being my favorite. The burrata was fresh but served way too cold IMO however the bread was pretty good. After our server highly recommending the pizza we went w it instead of trying the pasta. Mistake. The crust (which I think had some semolina in it) was underkneaded, underfermented and undercooked. Then there was the burger. I really wanted to like it after reading the reviews here and was happy to see it cooked perferctly when it arrived at the table. I don't know if it was the cheese curds, bacon jam, roasted tomato, arugala, roasted garlic mayo or what but I don't remeber tasting much beef let alone a special blend. Sometimes excess works, this time it didn't. The shoestring fries were a throw away. The burger kind of summed up the place for me. Pack as much trend du jur in as small as space as possible and serve. Given all the positive reveiws here I will go back to try some more of the menu, but I'm not sure how soon. Two recent lunches here have been somewhat disappointing. The lunch special sandwiches in both instances (a porchetta, a tuna, an eggplant) have been greasy and bready, and quite skimpy on fillings, and the accompanying shoestrings potatoes arrived lukewarm to cold on both visits. Worse, while most of our table ordered lunch specials, one had a salad and pasta, which the server regrettably coursed as two separate courses for him that both arrived substantially before any of the lunch special sandwiches. He felt awkward when his salad arrived, and even more so when his pasta arrived, and ungratified when his pasta was cold by the time food for the other members of the party arrived. A high point: the eggplant vasi was delicious. Though it would have been nice if it was less cold, and it ought to have been served with a spoon -- getting the goop out of the jar with a knife was not easy. 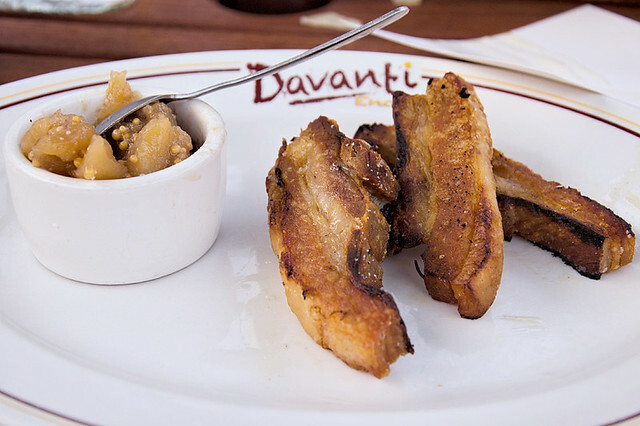 I've had many memorable dishes at Purple Pig so I was hoping Davanti would be an Italian version of PP. I had dinner here last evening and it was good, but none of the dishes I had were spectacular. polenta with chorizo - I think the polenta accompanyment changes regularly. If you like polenta, try it. Otherwise explore other parts of the large menu. 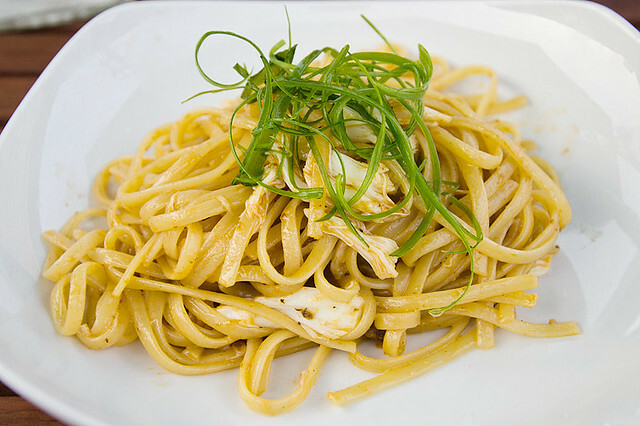 linguine with sea urchin & crab - Really enjoyed this dish. The sea urchin was subtle, but present. I love sea urchin and would definitely try this again. chicken liver pate - If I were to go back, I'd skip the chicken liver pate. I had a much better version of this recently at Abigails in Highland Park. crispy pork belly & mostarda - I'd probably skip the crispy pork belly. It tasted good, but something about it made it stick to all of my teeth which was annoying. Also, the mostarda pales in comparison to the version they serve at Vie with their cassoulet. The menu is huge and I wasn't able to explore much of it. Prices are reasonable and wine by the glass was very good. I would potentially go back if I found myself in the immediate area, but won't make it a destination. Any recent reports? Was thinking of having dinner here Thursday. Had dinner there 6-8 weeks ago, and we felt like the food's taken a hit. Everything was still good. No glaring errors or misses, but to a dish everything seemed just not-as-great as our previous visits. Three of us all noticed it (my wife and sister both mentioned it to me on separate occasions). Not sure if they're spread too thin with the expansion, have dropped quality over time, or if it was just an off night. I would still go back, but it's definitely dropped a few notches in my mind. Last night I made my maiden voyage to Davanti. Overall, I enjoyed the meal but didn't find anything to be particularly noteworthy. We started with the seasonal roasted asparagus, pickled rhubarb and mascarpone with black pepper. This was an excellent start - the asparagus had a nice char but retained some crispness and was well seasoned, and the rhubarb-mascarpone combination was excellent. We also shared the truffled egg toast with fontina and this was also very good. 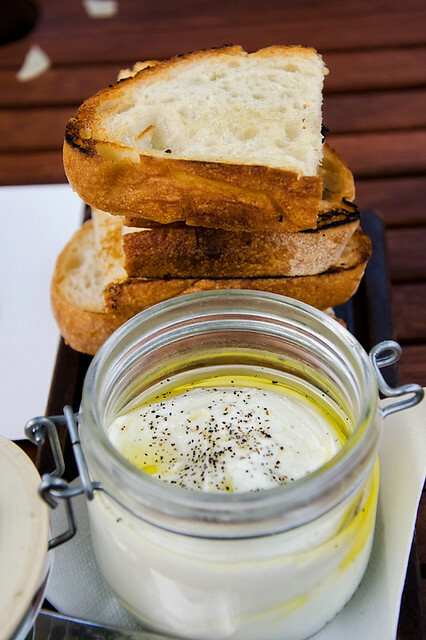 I loved that the toast was lightly crisp, that the eggs were oozing yolk and that the truffle oil was minimally applied. A little less successful was our pizza with prosciutto and arugula. The prosciutto was terrific, but the arugula was really lacking in flavor - none of that peppery bite I love. And the crust was rather soft and one-dimensional, really lacking in character and flavor. We also had a couple of pastas. The raviolo was very good - it was one large ravioli. The pasta had some bite to it and seemed homemade. The filling was spinach, ricotta, and egg yolk that oozed out when the raviolo was cut. My only complaint is that it was served with brown butter and I thought they overdid it with the butter. The other pasta, tagliatelle with favas and smoked ham hock, was a little less successful. The pastas accompaniments were terrific, but the tagliatelle itself was overcooked and lifeless. Service was okay but seemed rushed throughout the evening. I would also prefer that before someone removes a dish that they ask whether you've finished . . . this seems to be a growing trend . . . believe it or not restaurants, if there's merely sauce remaining on a plate, or even one more asparagus stalk . . . I might just decide I'd like to eat it. I get frustrated having to keep my knife and fork in the armed and ready position every second, bracing for war with bus boys and servers. Aside from service, I think I'd like Davanti to join in when Chicago has its "turn down the noise" night. Guess what: if the FOH and servers can't hear the customers two feet away from them, maybe the place is just too damn loud. This place was obviously designed with maximum noise desired (and music playing to ensure voices raise even a little more), but it's really crazy. Restaurants can have a vibrant atmosphere and sufficient noise without maximizing the noise. Some old age grumpiness aside (from a guy in his 40s - haha), I enjoyed the evening and the food enough, just not enough to travel there from my home in Lincoln Square. It was good, but a cioppino ain't no "festa." At least not in my libro. But it did give us the opportunity to try some of their pasta. Highly recommended: the gnudi (pillowy, with a nice spicy tang to the sauce) and the semolina gnocchi (bathed in a rich, fatty stew of braised lamb). The company, owned by chef Scott Harris, is closing the Davanti Enotca in River North. That restaurant’s last day will be on December 31, according to restaurant employees.